We originally spoke with Clackamas County in 2015 when they showed interest in the early 360 video projects we were producing, back before YouTube and Facebook even supported 360 playback. 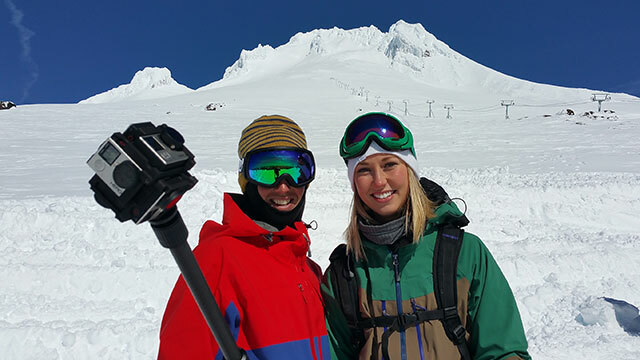 The team at Oregon’s Mt Hood Territory, the tourism initiative at the county, saw huge potential in 360 video and they were eager to get started. Although we didn’t manage to kick off a project in 2015 due to budget constraints, we kept in contact with OMHT about the latest developments in 360 video and VR and launched our ambitious action packed 360 campaign production in early 2016. It was a big deal for 360 Labs to land this local organization as our first tourism client. Mt. Hood is practically in our back yard, and we were excited for a chance to show it off in VR video. To showcase some of the many exciting things you can do in the territory, OMHT tasked us to capture 360 video experiences of skiing & snowboarding at Mt. 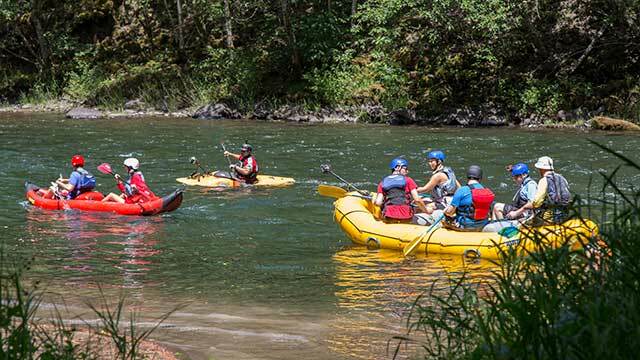 Hood Meadows, whitewater rafting on the Clackamas River, and mountain biking at Mt. Hood Skibowl. As early adopters of 360/VR video, OMHT knew we were in for a difficult task to capture these highly dynamic action packed adventures and trusted us as the team to get it done. We made all of the pre-production arrangements including talent (athlete) scouting, finding outfitters and arranging the equipment, as well as securing permits where necessary. We were also flexible and open with our schedule to ensure we could get the best possible weather for each experience. We watched the weather forecasts daily for the best possible conditions, and juggled the schedules of several crew members and athletes to get the best possible outcome. For skiing and snowboarding at Mt. Hood Meadows, we made use of a 6 GoPro 360 camera rig with a Kenyon Gyro to stabilize and smooth out the motion on several ski runs. When hand-held by an athlete, it gives you a first person perspective when looking forward, or a third person perspective when looking back at the camera wielder. We also used third-person body mounts from SailVideoSystem to give an over the shoulder perspective as well. GoPros provide great resolution even at 120 fps when 6 are used, which help for accurate sync and awesome slow motion action. Rafting the Clackamas required waterproofing, and for this we love the Freedom 360 Explorer, a 6 GoPro system with underwater housings to protect from splashes. We also fashioned a custom mount for a kayak perspective, allowing the viewer to see the Kayak POV, or turn around and see extreme kayaker Sam Drevo in action. The rig survived everything except for a rollover, fortunately we got that on 360 video and our safety tether kept the camera from crashing down the river. 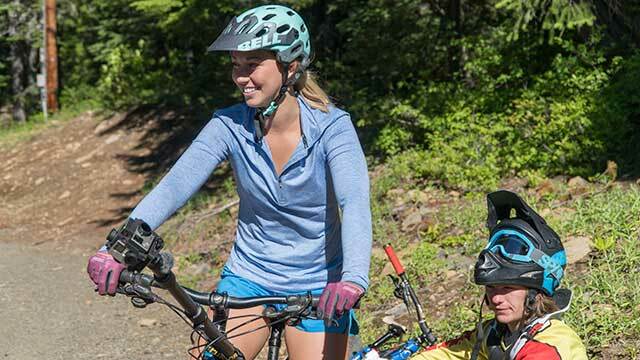 Finally, one of our biggest challenges in rigging would be mountain biking at Mt. Hood Skibowl. With our mountain bikes moving from bright sun to thick forest canopy, this makes for a challenging scenario for any 360 camera. We were able to hard-mount 360 cameras to 2 different bikes, as well as mic our bike riders separately so we could avoid wind and rattling noises captured by the cameras. We’re particularly proud of a cable camera shot we set up directly over a ramp obstacle, giving us the feeling of an aerial shot without needing to risk a drone in the dense forest. It took several takes, but we were able to match the speed of our rider and follow him through the obstacle with a bird’s eye view. Post production was particularly challenging on all of these projects. The goal behind all of these videos was to capture the excitement of the Pacific Northwest, and since we’re known for moving the camera, this was a challenge we were willing to accept. With a combination of warp stabilization and Kolor’s AutoPano Video stabilization we were able to make each of these 360 experience comfortable to watch in a VR headset. Whenever possible we always try to capture both static and dynamic versions of each shot, so we have the freedom in our edit to ground the viewer and give them a short break from the more intense action. Today, there are many other stabilization hardware and software options that weren’t available to us back then. OMHT has been able to draw in many enthusiastic would-be visitors to try these Oregon experiences at travel trade shows nation wide. They also found 360 video to be impactful on Facebook, with over 250,000 views, 5,000 reactions and over 350 comments on the video series. Any time of the year, everywhere you look - Oregon's Mt. Hood Territory never ceases to amaze. Rich in history, food straight from the farm, and recreational possibilities, each day offers a new experience, whether you're outdoors or indoors.